From Greenville Rd. (Highway 122), go south on Greenville High School Rd. and turn right on Main St. (Highway 25/4). 25/4 goes west briefly, then wraps around toward the south, angling back east a bit as it becomes Cooks Run Rd. 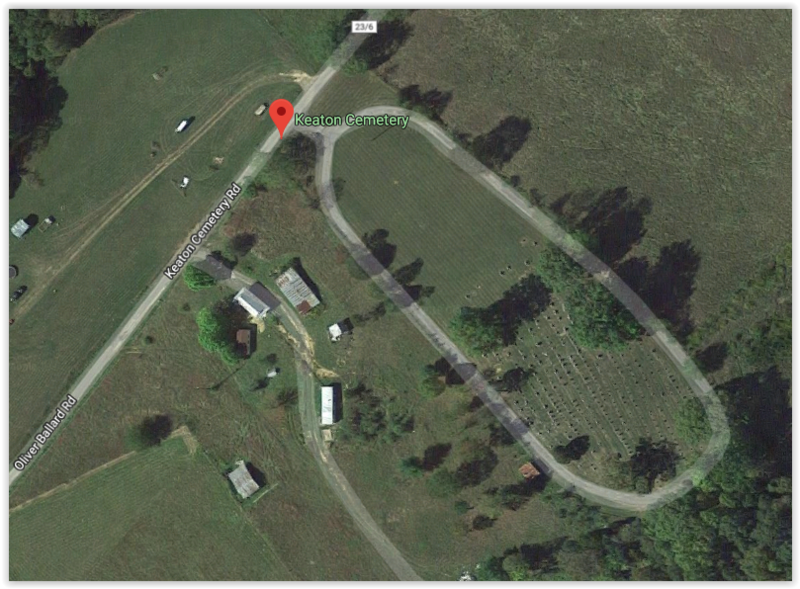 About 2-1/2 miles beyond your starting point, turn left onto Oliver Ballard Rd./Keaton Cemetery Rd. Keaton Cemetery is on your right a short distance northeast from that intersection. 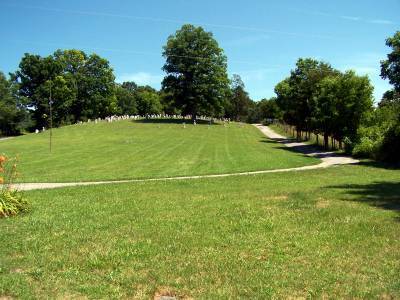 Some have represented that Keaton Cemetery is also Cummings Cemetery (of Greenville). However, comparing the burials listed in each (as available) does not support this claim.